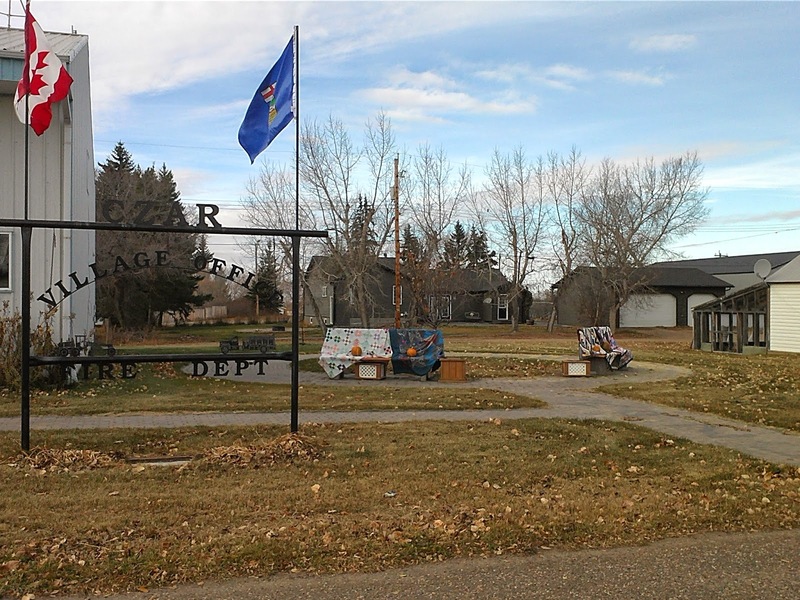 Last weekend I managed to get the whole family out of the house and we went to a nearby village called Czar here in Alberta. 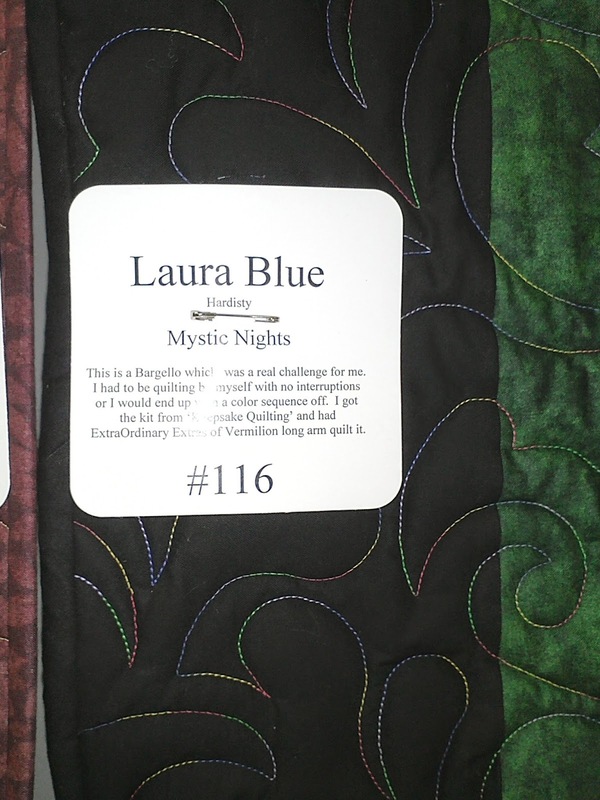 The quilters there were putting on a quilt show and I was determined to go because I missed it last year. This was the 14th year of the show and it is very well done. You can even order lunch while you're there! Fantastic! 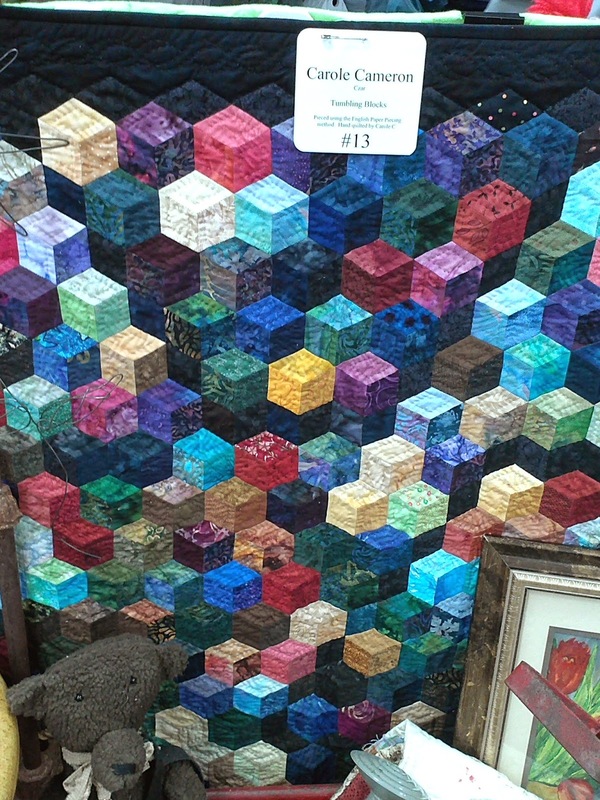 :) So here are some photos for you of the show. Loads of photos coming right up! 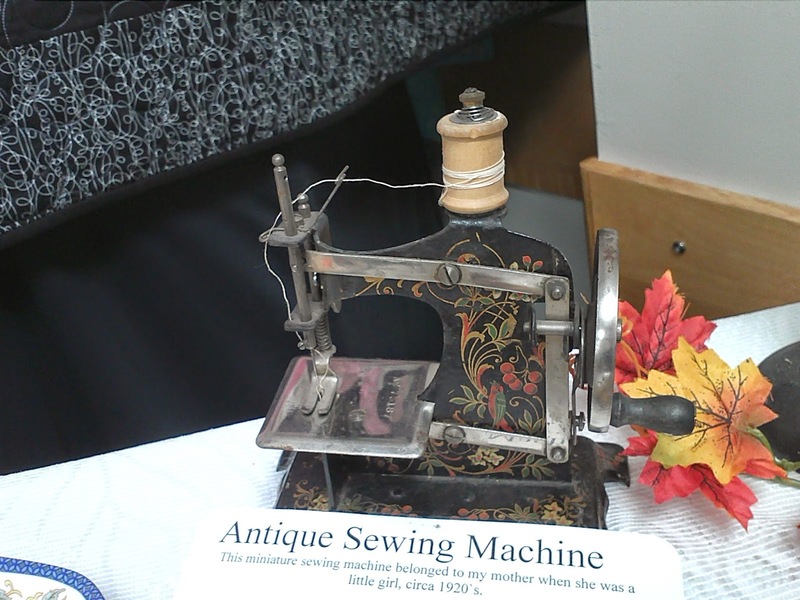 When we first came in there was a display of many antique sewing machines and of course that was the first thing I went to see. 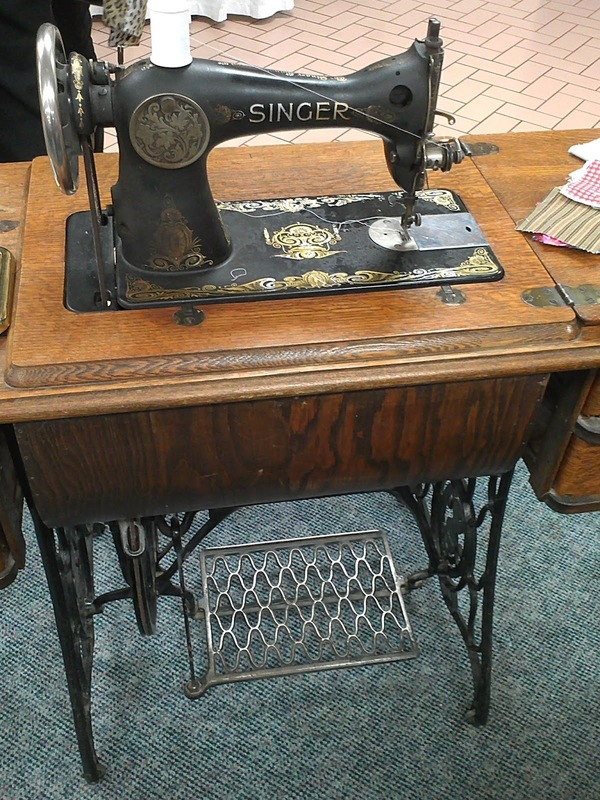 Here's a lovely old Singer treadle machine. 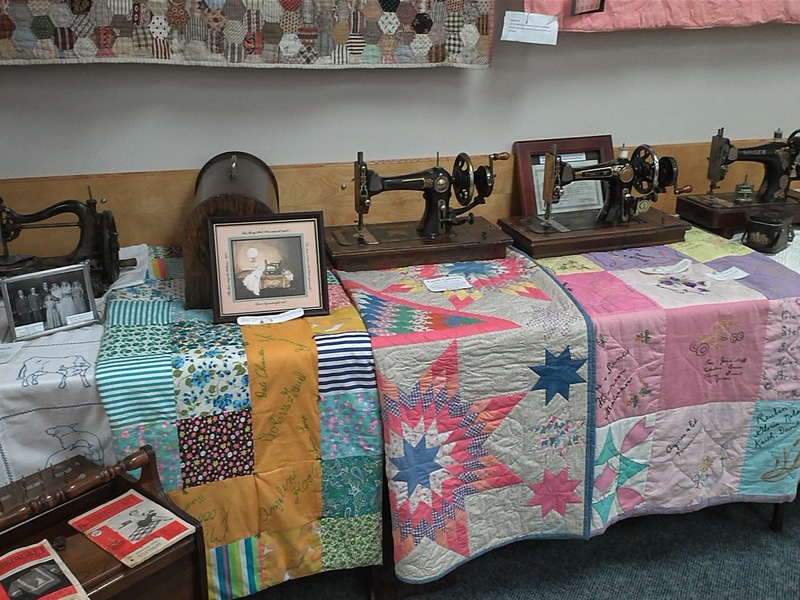 And there were machines lined up on top of antique quilts. 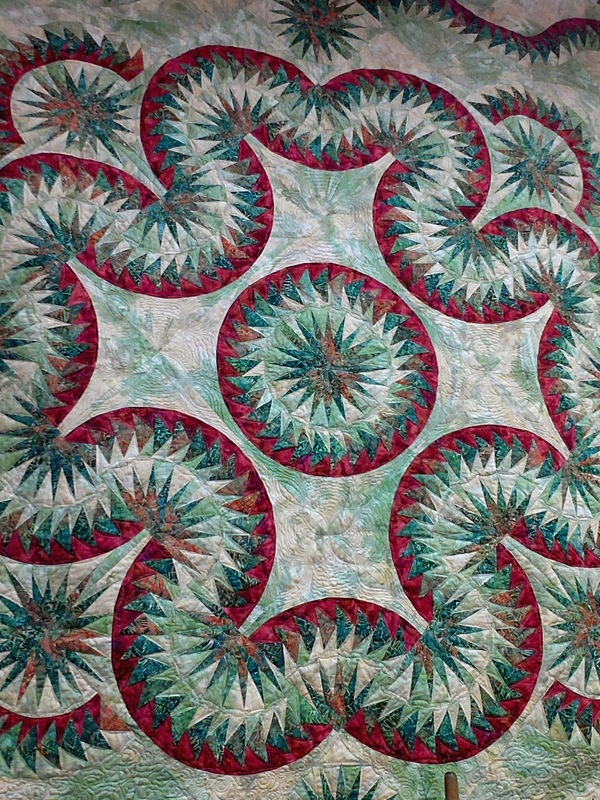 This card tells the history of this hand pieced and hand quilted hexagon quilt from the 1860s which was brought to Canada from the United States in 1901 (See photo below). 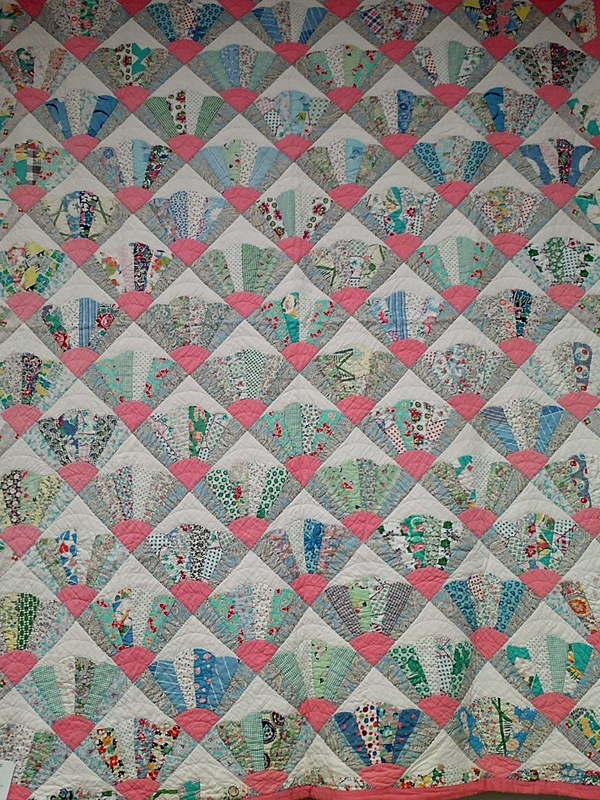 And this card tells about the quilt in the photo below from the 1930s. 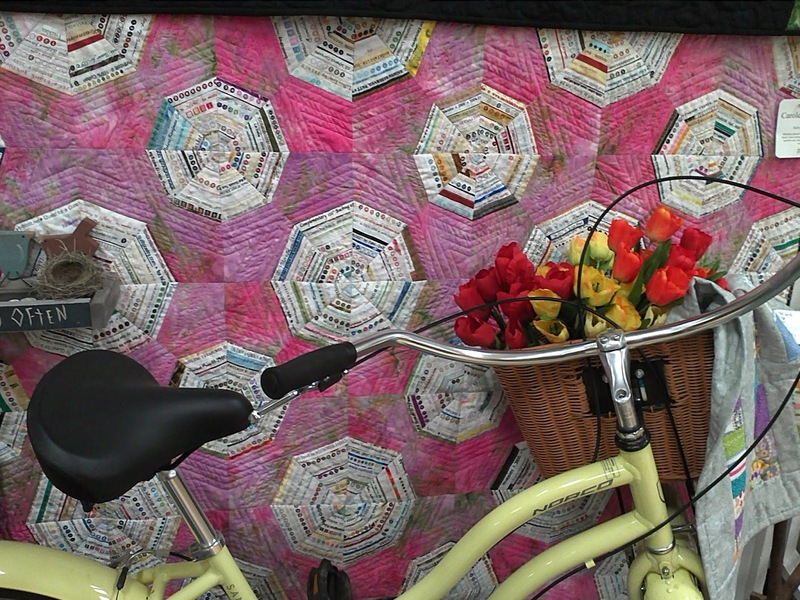 Those who love 30's reproduction fabrics will love this one! 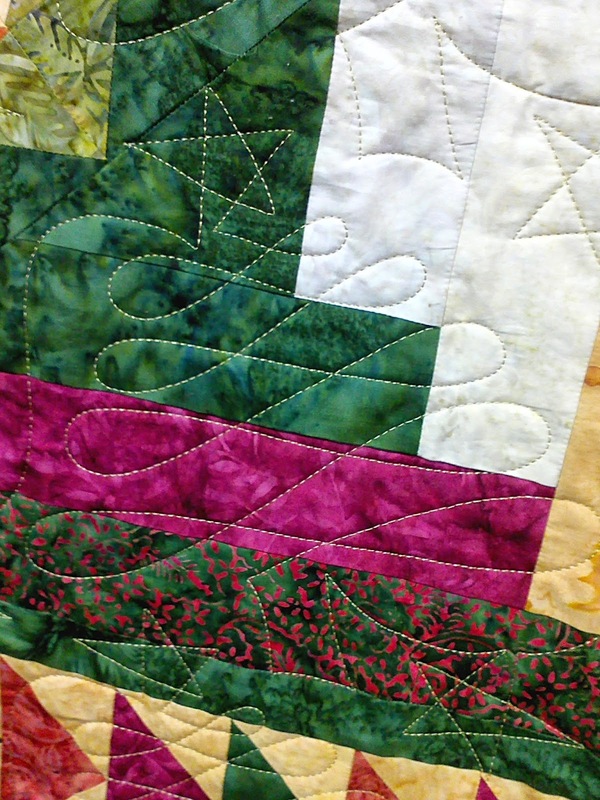 Detail of the quilting on the gorgeous Christmas quilt below. 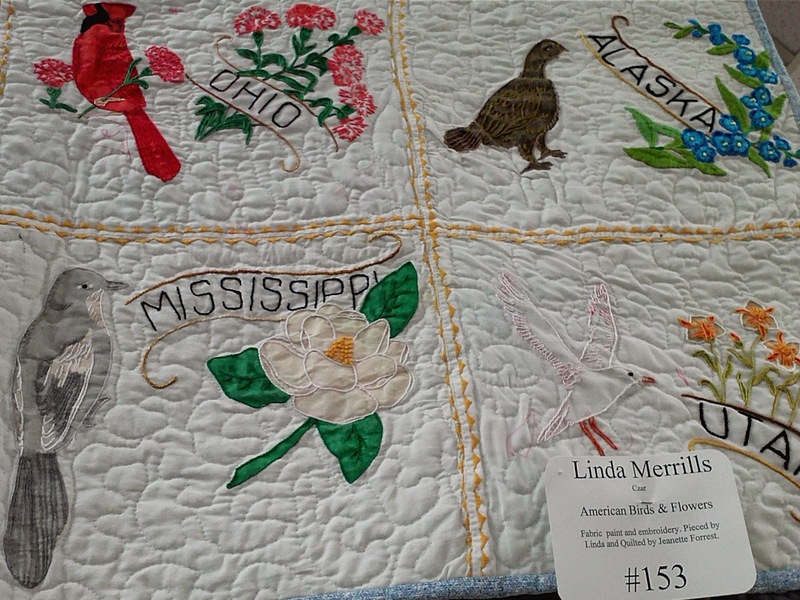 I loved the embroidery on this one. 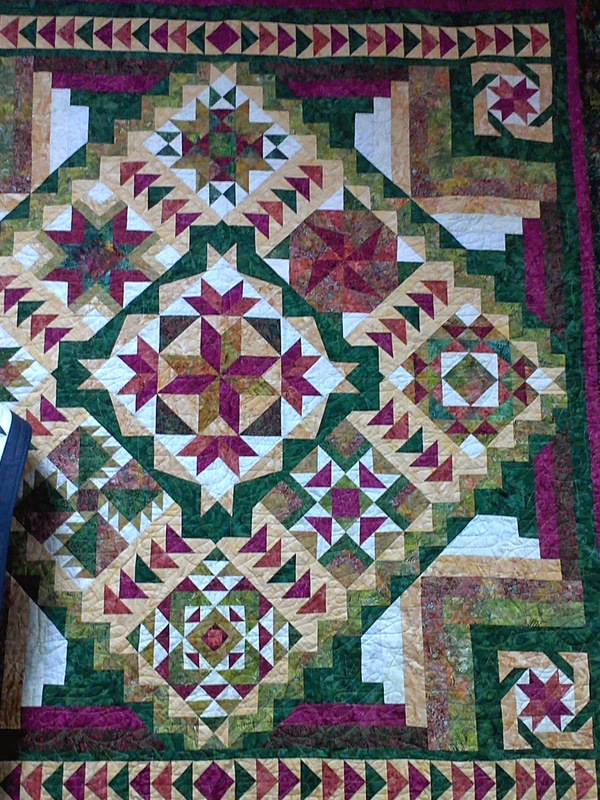 The quilter used pictures from colouring books. 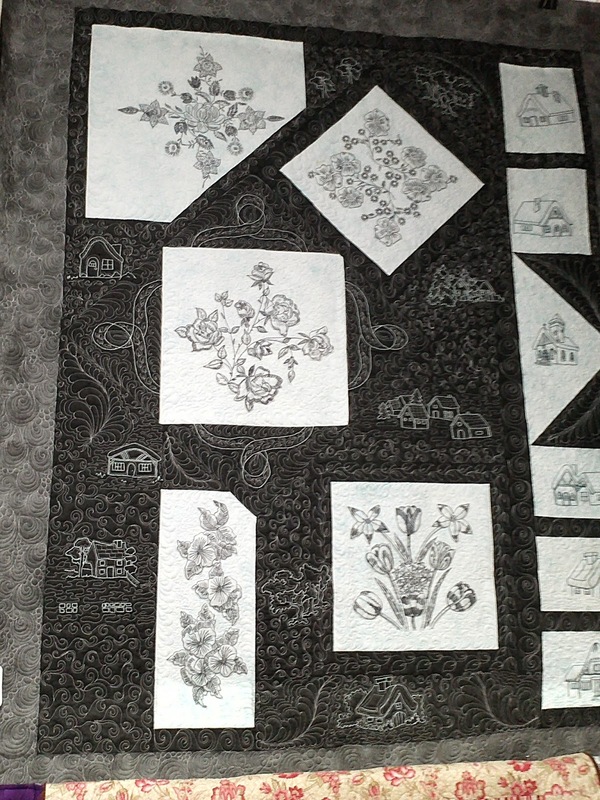 More embroidered houses from colouring books. Brilliant! 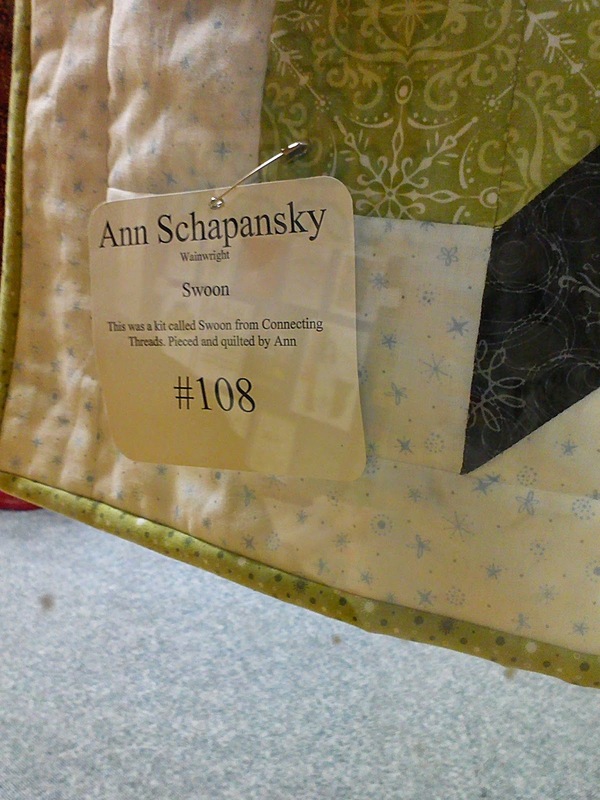 I found a Swoon quilt. 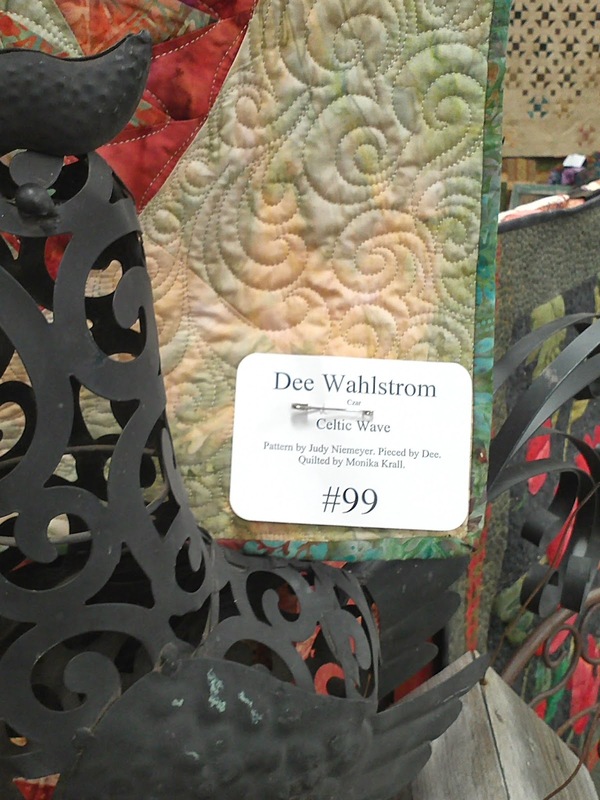 The quilter's name is on the card in the photo below. 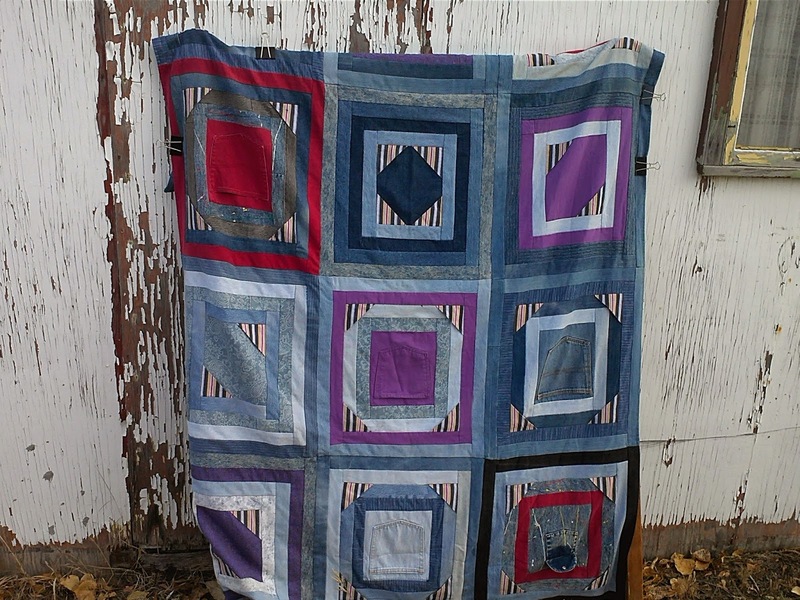 I am always fascinated by tumbling block quilts and I must sew one some day. 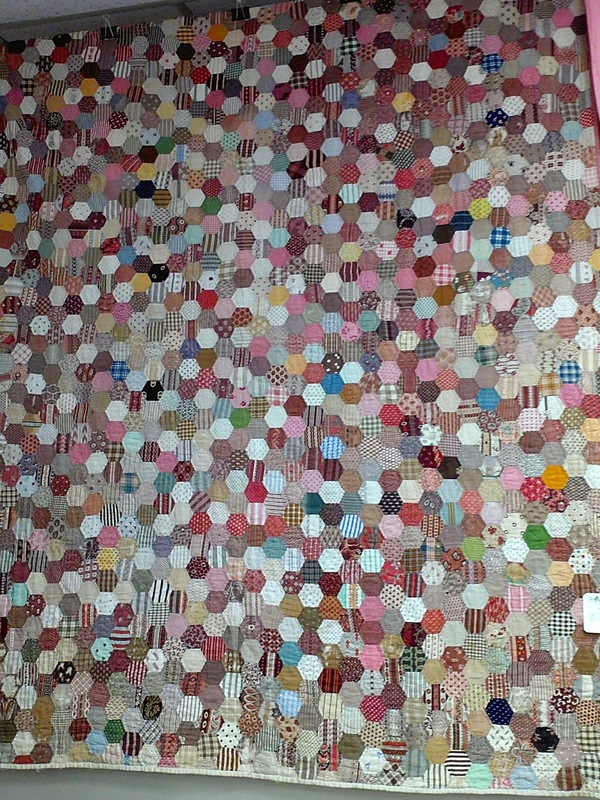 A selvage spider web quilt. Also fascinating to me. Absolutely stunning. 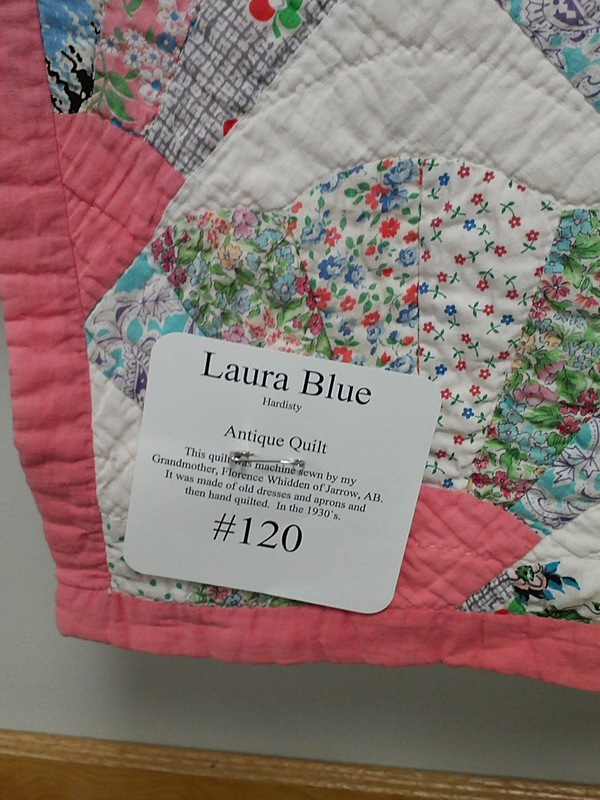 The quilter's name is on the card in the photo below. 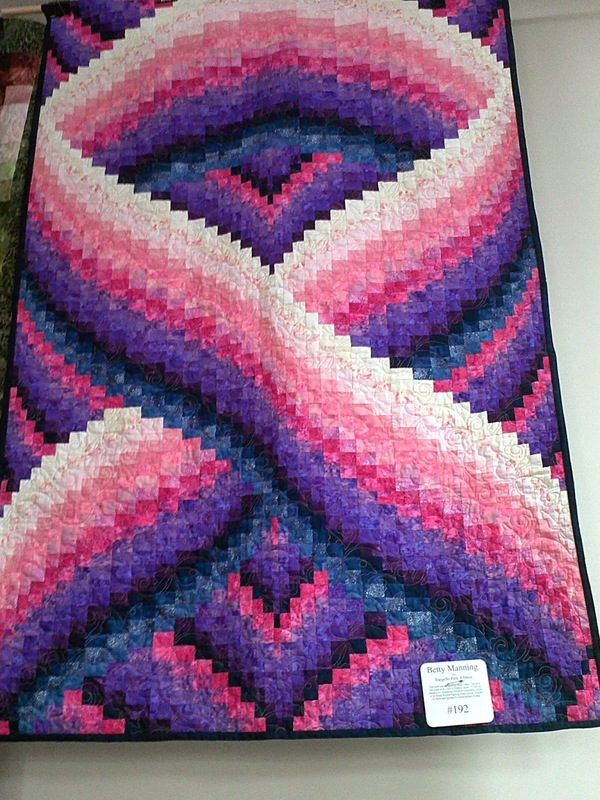 Bargello quilts are very interesting to me too. 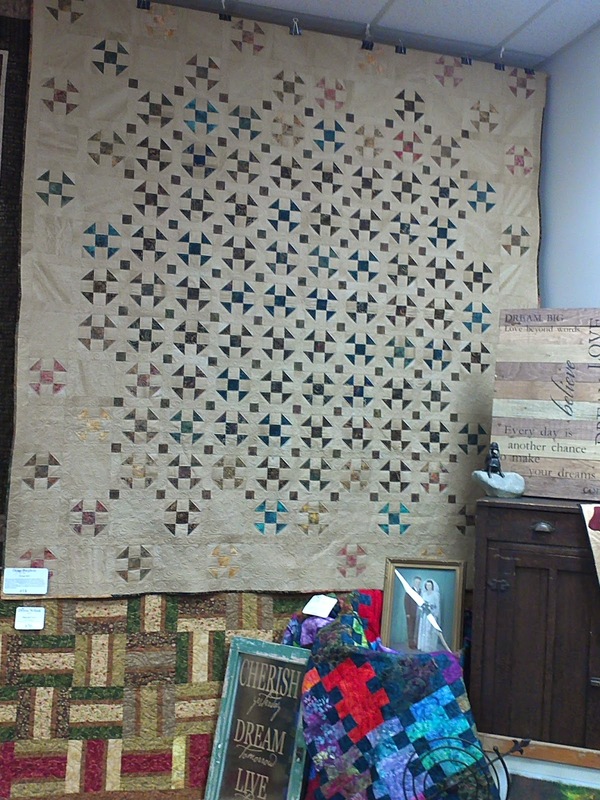 Another photo of the antique quilts and machines. 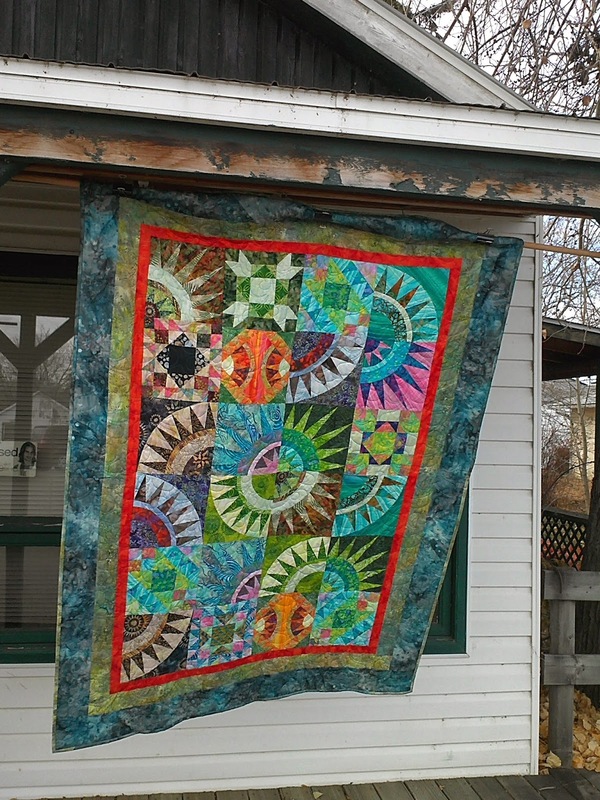 She said she had to be by herself with no interruptions to work on this. I don't doubt that! 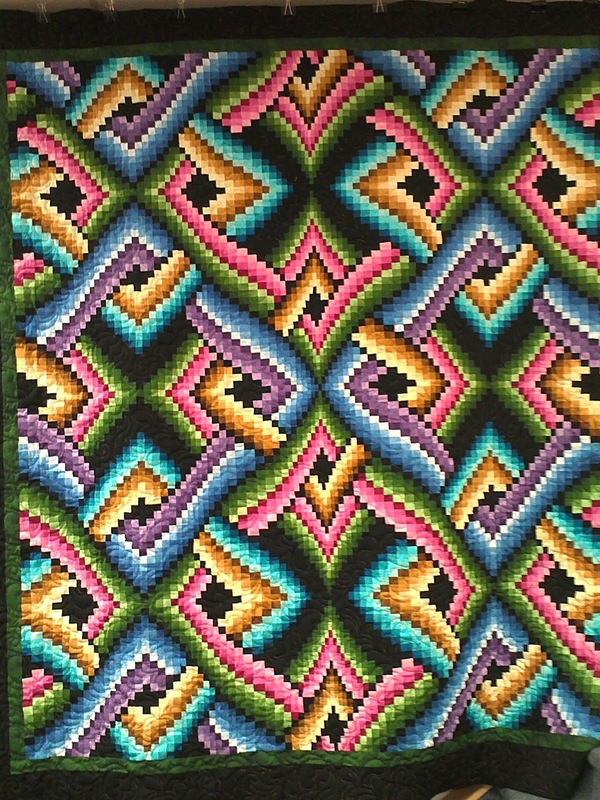 The thread used is also gorgeous. 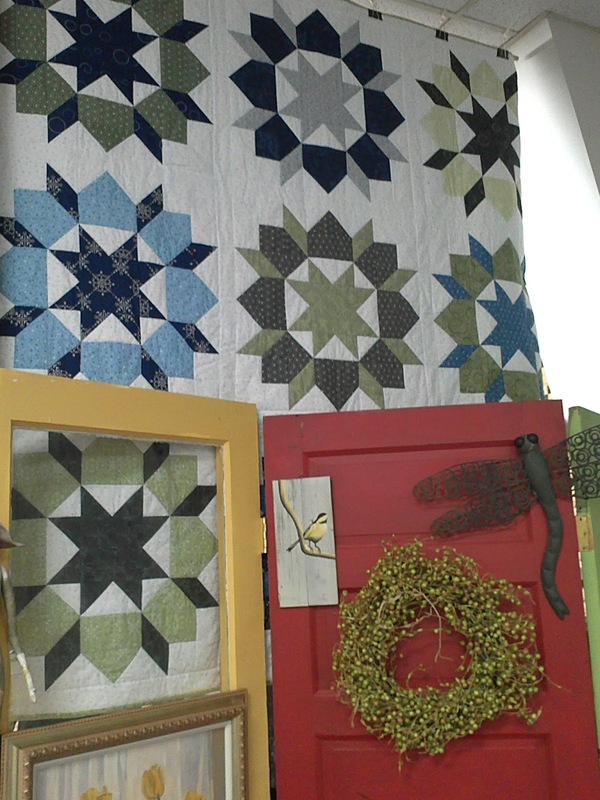 Cute little display by the selvage quilt. 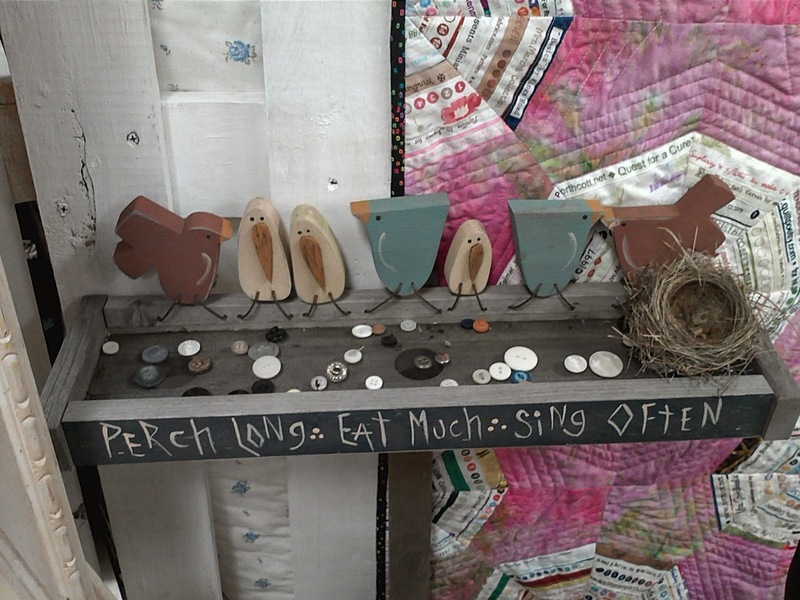 The birdies have buttons for food. 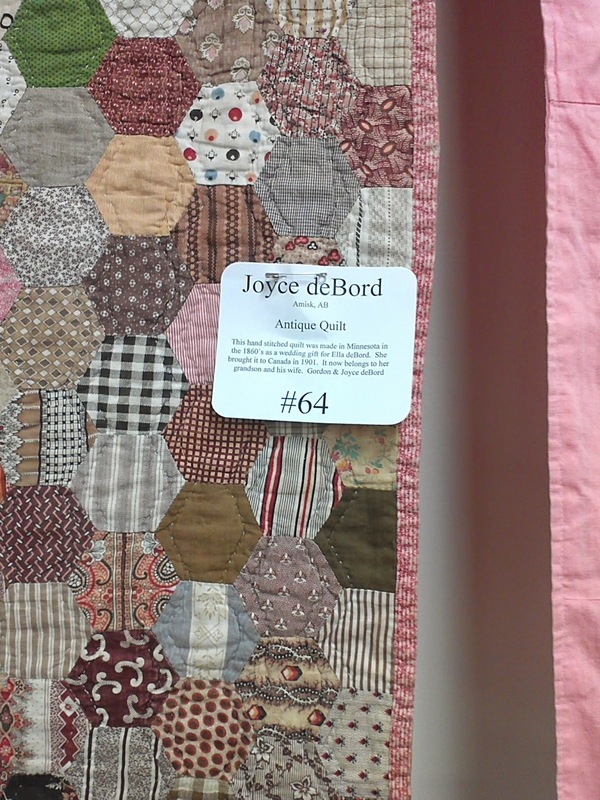 Closer shot of the quilt with the quilter's name on the card. 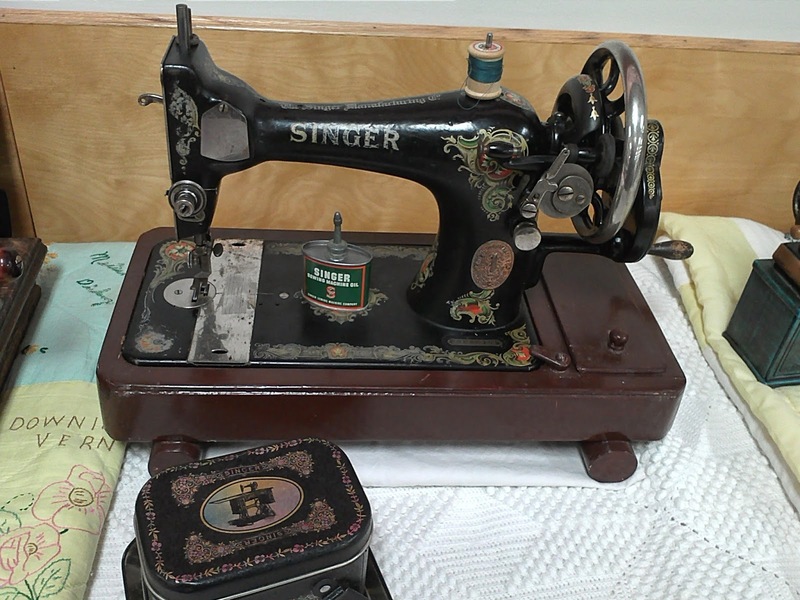 This little sewing machine was on the snack table. So sweet. 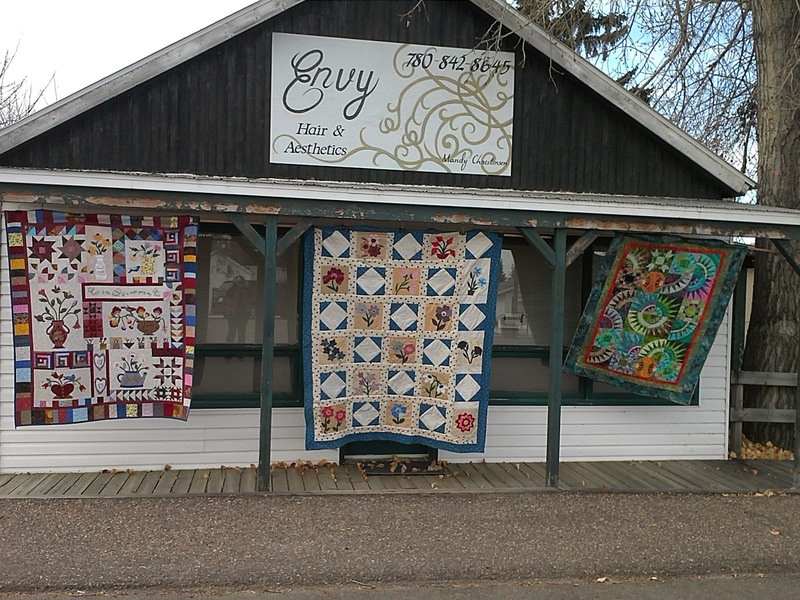 When we came into the village there were quilts all along the main street. 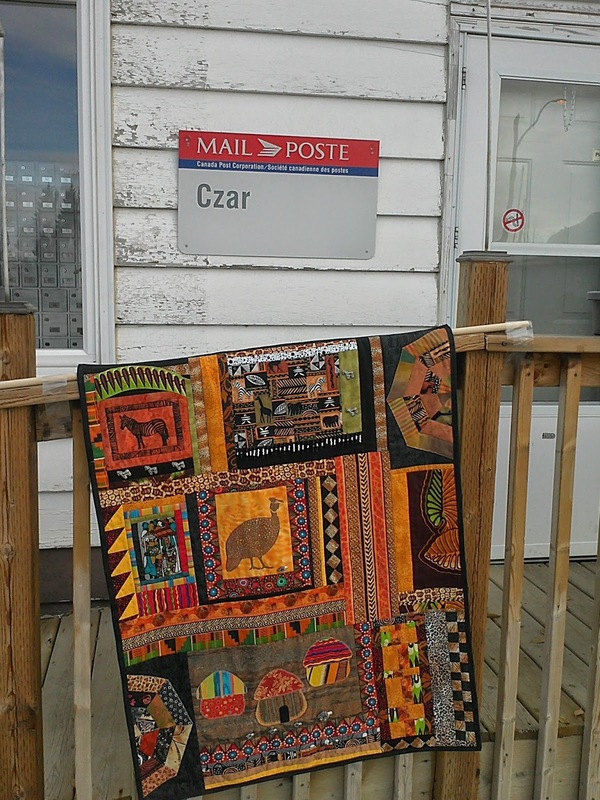 Even the post office had a quilt. 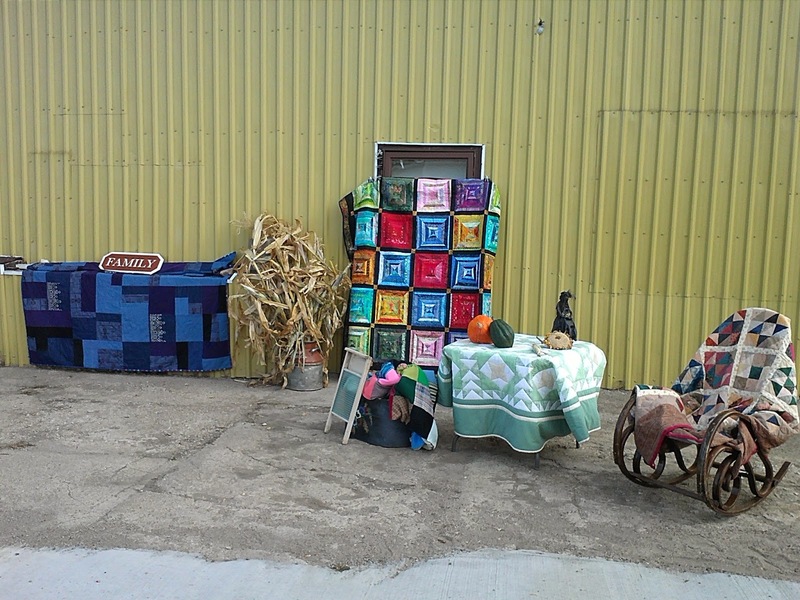 And there were some by the fire hall. And at the beauty salon too. Isn't this beautiful!? What a great little afternoon trip it was. 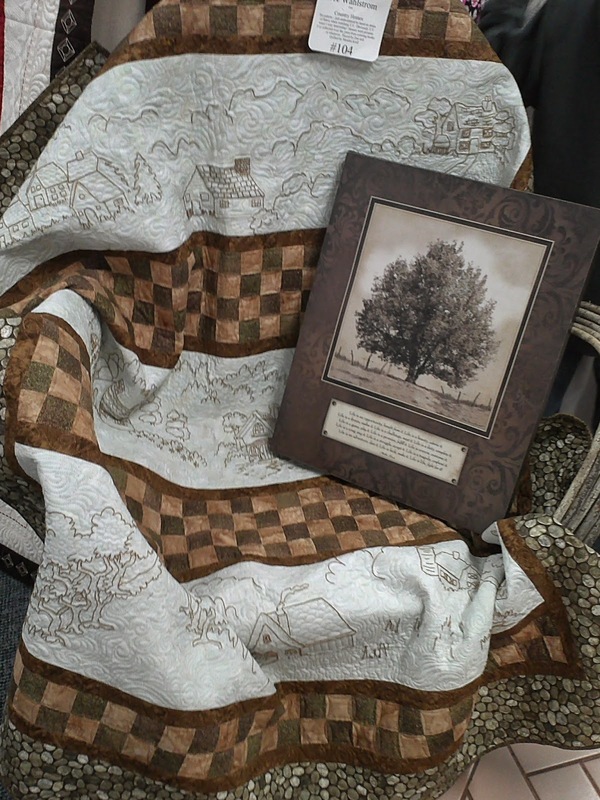 I have more photos that my husband took but I think I will have to do another post because this one is already so full of photos. 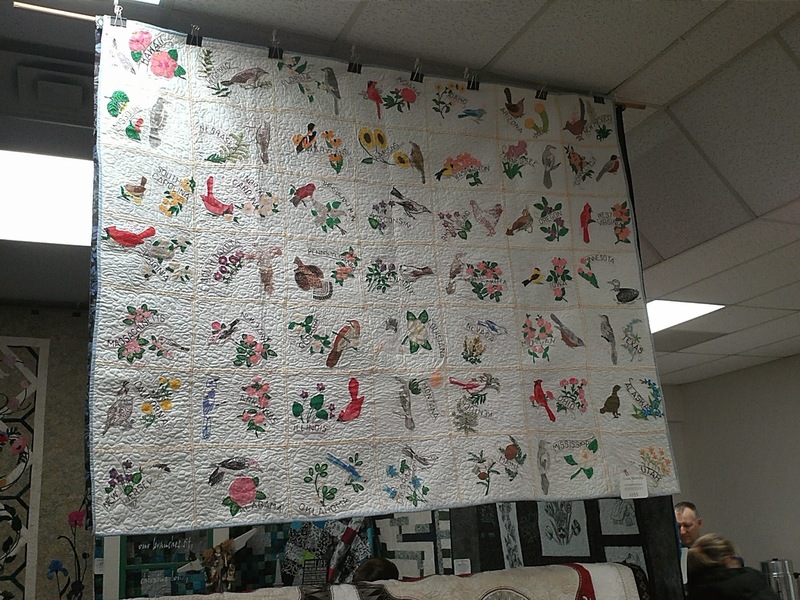 I hope you enjoyed this little virtual tour (that only shows a small portion) of the Czar Quilt Show.